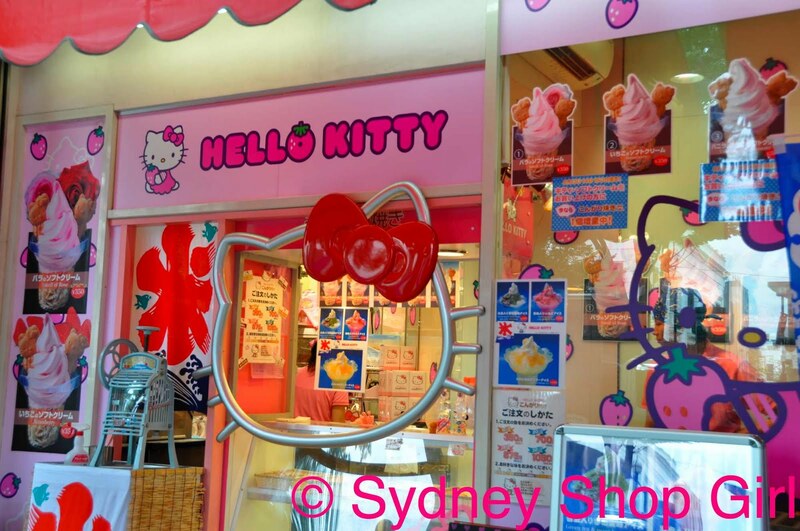 Sydney Shop Girl: Hello Kitty In Harajuku. Was That A Love Hotel In Shibuya? 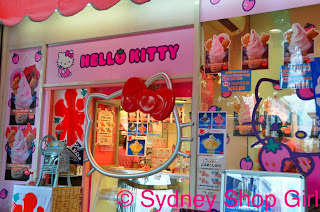 Hello Kitty In Harajuku. 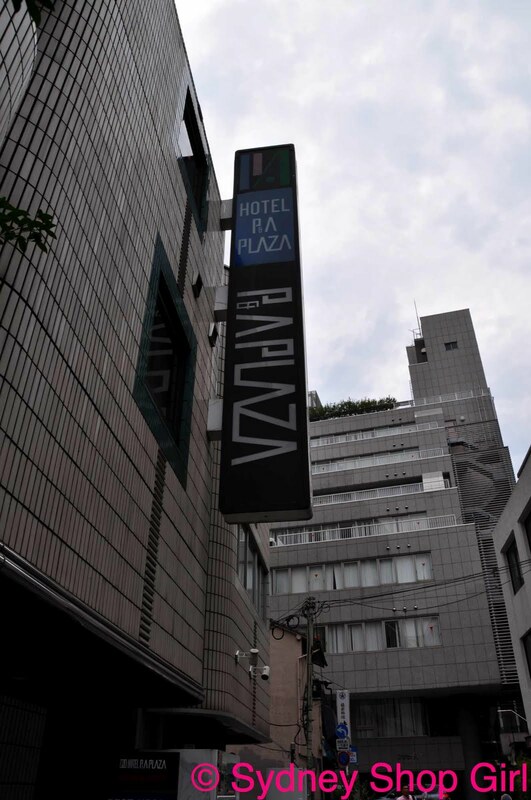 Was That A Love Hotel In Shibuya? For a change, my laptop and I spent yesterday quietly focussed and goal orientated. The only window that had been open (mostly) has been Word and I didn't update my facebook status for several hours. I've finished the draft of my life or death paper and have emailed it to my co-authors for their review. Fingers crossed. I am back at work on Monday and can see from now that there will be few spare moments to tackle abstracts and tracked changes. Catching up on current affairs. I'm showing my age by flipping past the antics of the Twilight stars, Taylor Momsen and Lourdes (including her mother, Madge the Immortal). My persons of interest? Jennifer Aniston, Brangelina, Beyonce, Paris and Posh. Britters has been missing from the front cover of NW for way too long. I feel as if the natural order has been restored. 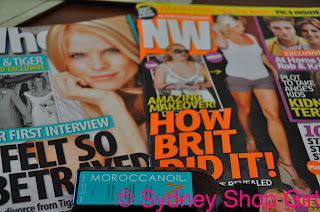 I had to slip in my bottle of Moroccanoil (one word, apparently). It co-ordinates perfectly with the colours of both magazine covers. 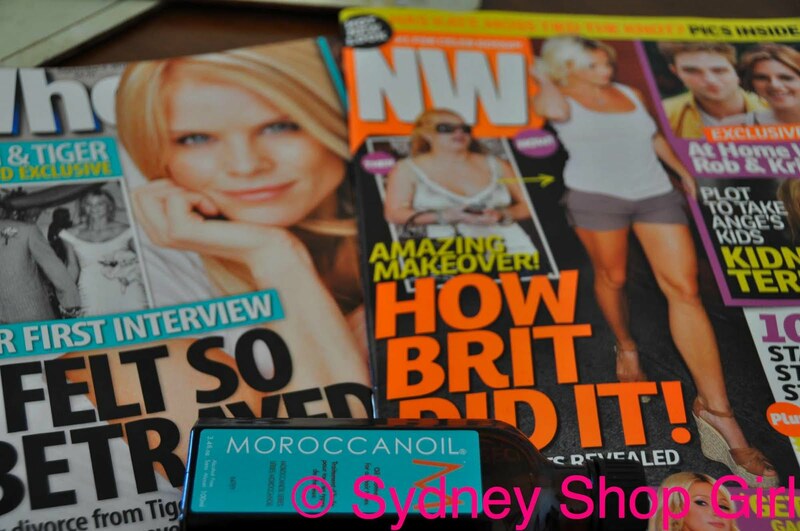 It's good stuff, Moroccanoil. I've been using it daily since getting back from Japan and it's made my hair soft without residue build up, just like what the bottle says. It smells lovely too. Pretty much Elin or Brit (post AMAZING MAKEOVER, as per the cover of NW) worthy hair except that I'm not blonde. I'd like to be able to tell you more about Who but Mr SSG has made of with it, congratulating me on 'finally buying a magazine that has something to say about the world'. Which leaves me now to my own devices on this glorious Saturday morning. I'm planning to take it easy. Going for a run this afternoon (just couldn't do it this morning) after shopping running some errands in the city. I've gotten it into my head that this is about the time in my photography learning curve to embrace the magic that is Photoshop Elements. I'll give it a go tonight and see how my snaps look afterward. Princess, 36C is 36C no matter where you are on the planet. Most sensible people only venture into the heat to get from A to B and did you notice the distinct absence of tourists on the Metro with you? Another interesting point to remember is that for the most part, the Japanese don't seem to feel the need for Arctic temperature air conditioning in their public buildings. I'm used to the brief scurry onto a hot road before re-entering another freezing building. I'm getting to the point. I have to be straight. 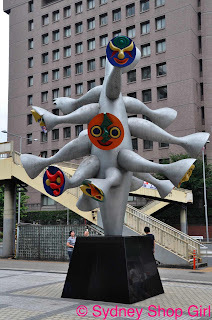 My exploration of Tokyo is rather short on culture. 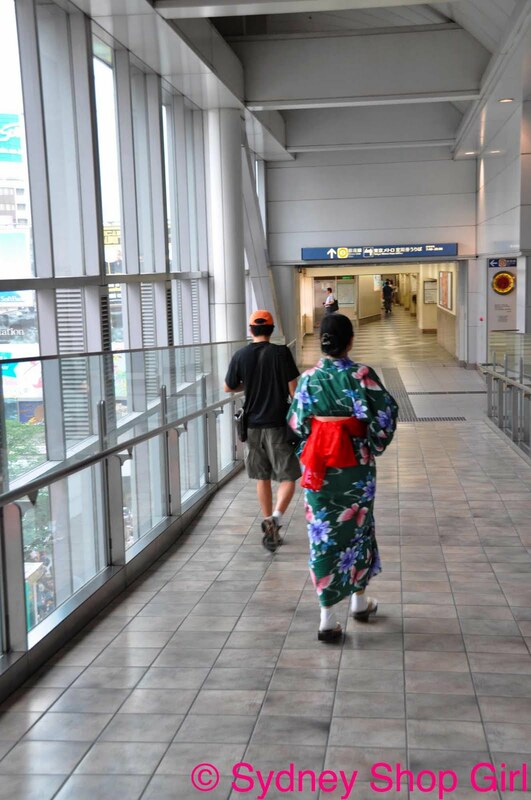 It was an achievement to step out of the Metro exits, walk for 30 minutes before seeking refuge with a cold drink or in a shady shopping centre. 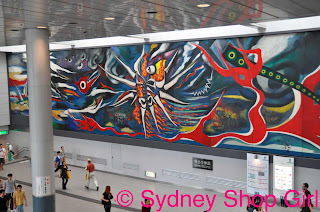 Harajuku station was a case in point. 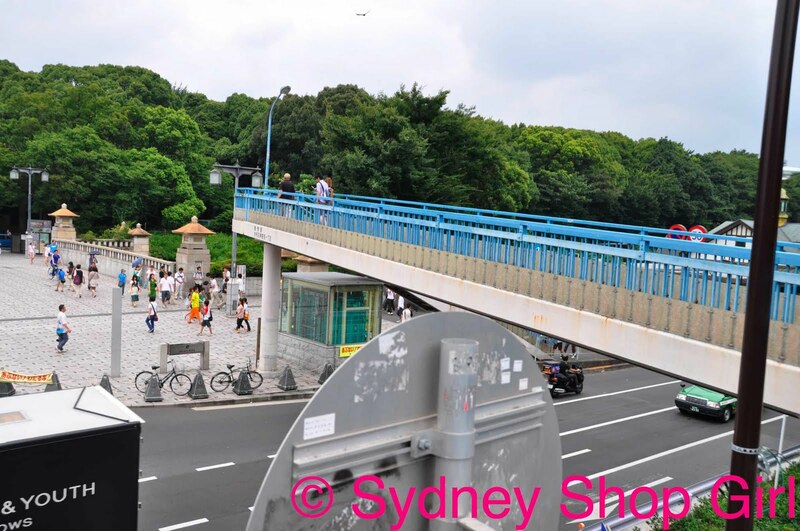 If I crossed this bridge, I would be able to explore Yoyogi Park and observe both youth culture and the natural beauty of a Japanese park. However, as my face melted and my clothes started sticking to me, my will started to crumble. If I stayed on this side of the bridge and walked down this avenue, Meiji-dori, surely air conditioning and and ice cold drink couldn't be far? Meiji-dori is another shopping avenue that lacks the massive billboards and awnings usually found in areas like this. Store signs were discrete and were set well back from the street, behind the wide sidewalks on either side of the road. 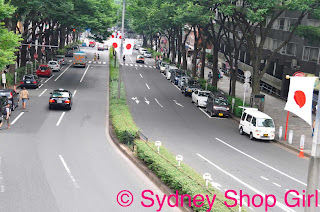 Meiji-dori won. We walked into a branch of a local coffee chain and revived with an ice coffee. 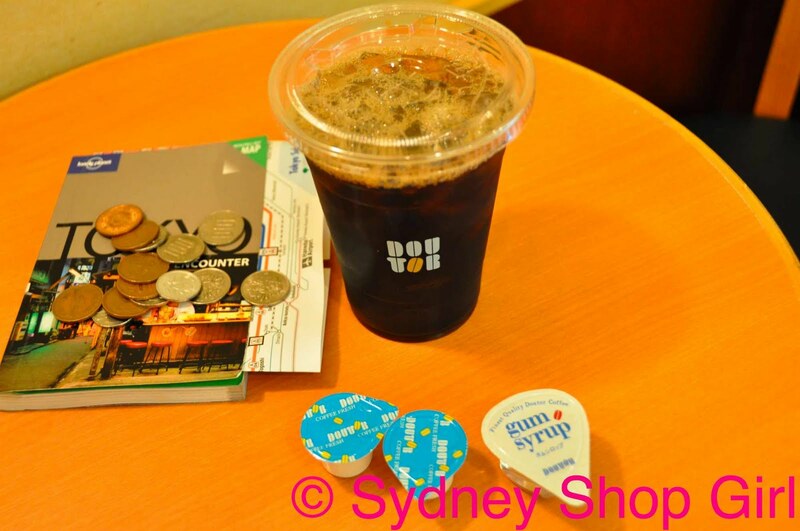 I quite liked the coffee in Japan. Better than France, to be honest. There is a real taste to it even in coffee chains. In addition to granulated sugar, gum syrup is offered to sweeten cold drinks. You can also add milk - see how much smaller their portions of milk are compared to ours? It was the same with yoghurt. By day 3, I had abandoned my foolhardy routine of a hot coffee on a daily basis. 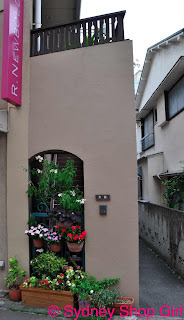 Finally, I felt as if we were in the real Japan. My first Hello Kitty sighting. 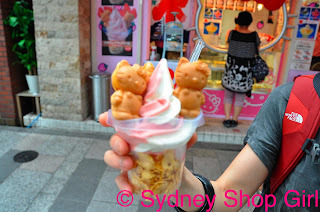 One strawberry sundae with 2 Hello Kitty waffles and cornflakes at the bottom. Gone in 60 seconds. I think kimonoes are beautiful. I couldn't resist taking photos of women wearing them. The contrast of the gown and its fabrics against the modern city backdrop is one of those unique images of urban Japan. 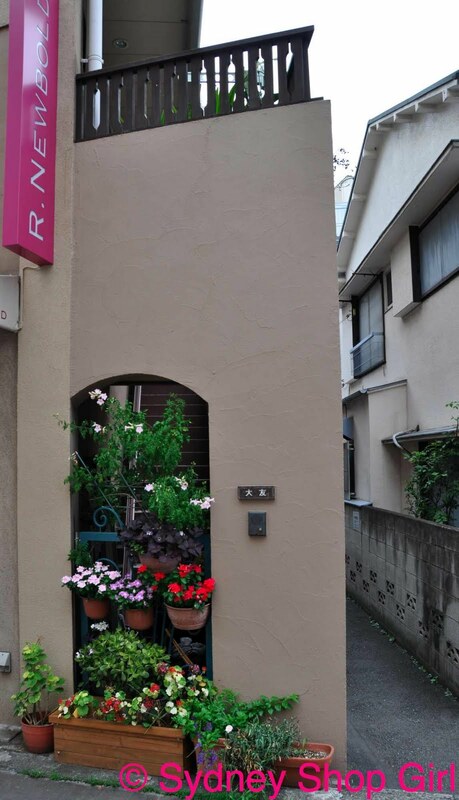 If you take a walk through the side streets off Meiji-dori, you will find narrower streets of more indie boutiques. There is a European feel to the way these streets are decorated. All cultures are appreciated here. Beyond the high end European labels, many lifestyle brands representing disparate elements of youth culture have staked their claim in this part of the city. That was a cheap pun. 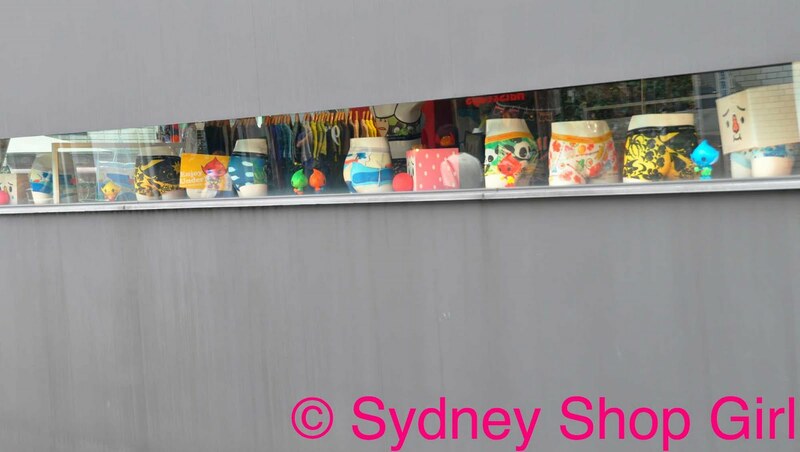 I'm pretty sure this was an underwear store. Further along, we discovered some of the educational facilities in the area - nice to take a break from the shops once in a while. 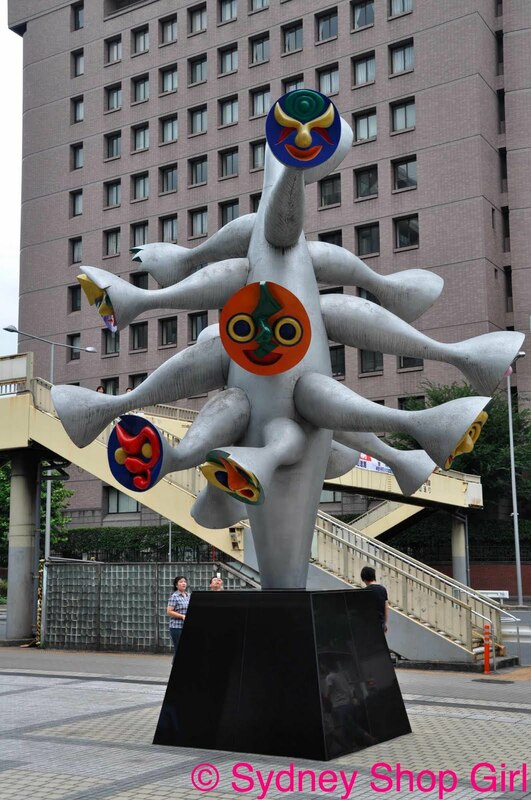 This statue is outside Tokyo Metropolitan Children's Hall, I think. 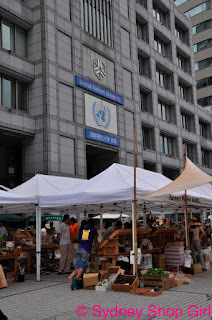 An organic grower's market at the United Nations University. Despite the heat, there were people just casually browsing and eating as if it were a mild spring day. Can you tell how badly I cope with the heat, yet? I think Japan out Frenches the French. 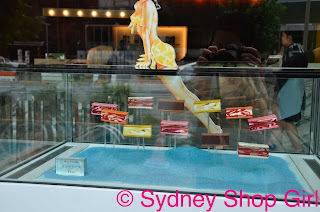 This is one part of the window display for a Japanese branch of Pierre Herme. 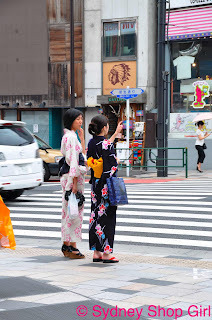 It didn't matter which part of Tokyo I found myself in, if we are talking cakes and biscuits, it goes without saying that the stores would be immaculate and that the baked goods would be treated as if they were high fashion accessories. Some groundwork for fellow shopaholics. 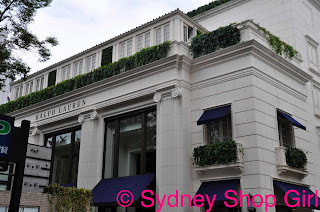 This is a Ralph Lauren mansion. 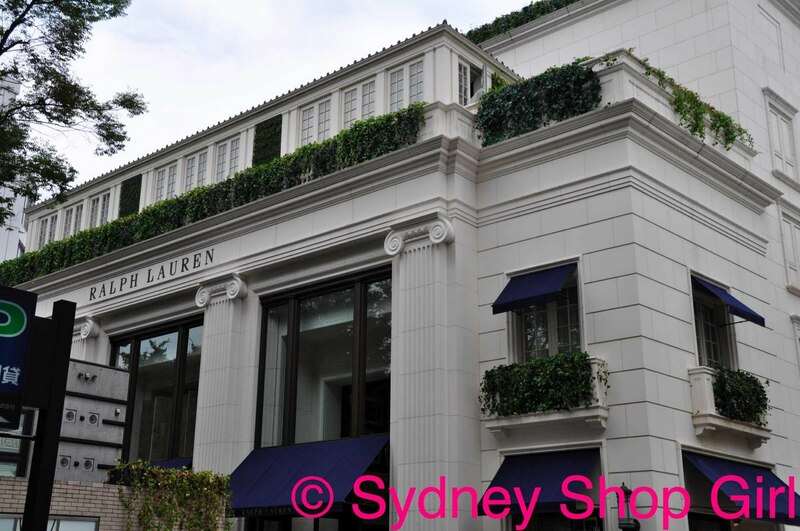 It is a separate building behind the main avenue of designer shops. You are greeted at the door by a buff sales assistant (you've seen the ads, well the staff just walk off the photoshoot and get back to work). One can then walk inside and look at the crystal chandelier from the wood paneled 'study' that stores the standard issue polo shirts. There is a marble staircase under the chandelier that leads you up to some serious clothes in a series of airy rooms decorated in the Ralph Lauren style. It is a bit of a spectacle. I may have told you about my map reading problems. And that the problems magnify when I'm feeling hot and bothered? 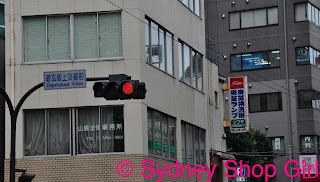 Our next mission was to find Love Hotel Hill. Not that we were in need of another hotel room (it would prove to be very difficult to say goodbye to our current digs...). I was just curious. Much is said in the Western press about them and I just wanted to see what all the fuss was about. We found ourselves in Shibuya, at Dogenzaka which is where they are all meant to be. 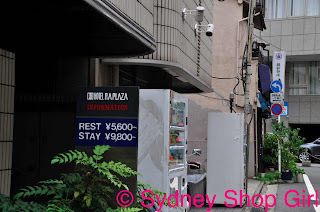 After much map turning, looking at street signs and asking friendly 7-11 staff whilst we stood in front of their air conditioners or the beer fridge (if you happen to be Mr SSG). If you were a Love Hotel, you'd want to be discrete at street level, wouldn't you? 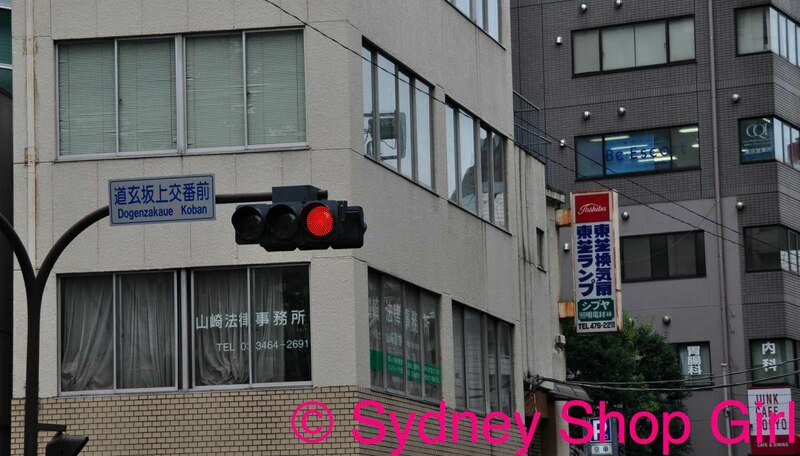 Really hope this is a Love Hotel. But still have a little sign indicating what was on offer. I sticky beaked past the front door but sadly have nothing juicy to report. 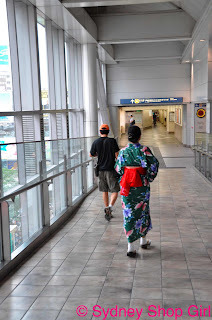 My curiosity satisfied (sometimes it doesn't take much), we made our way back to the metro. 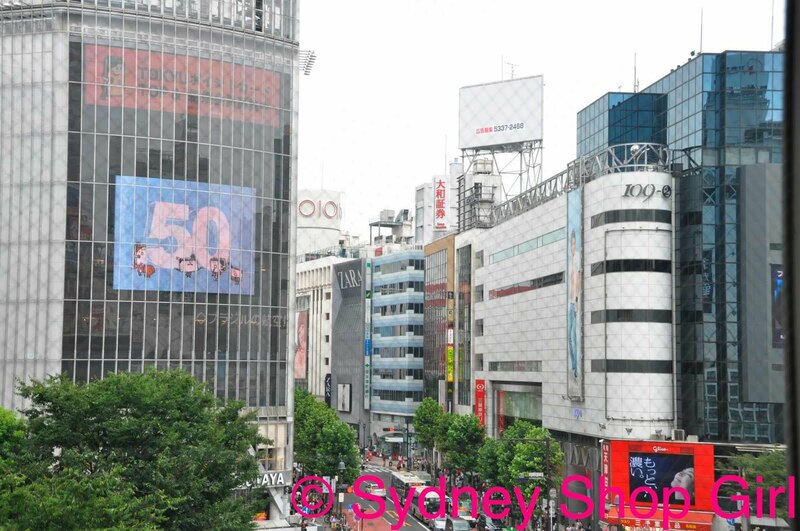 I love the futuristic skyline of Japanese buildings. It made me feel as if I was on a movie set. 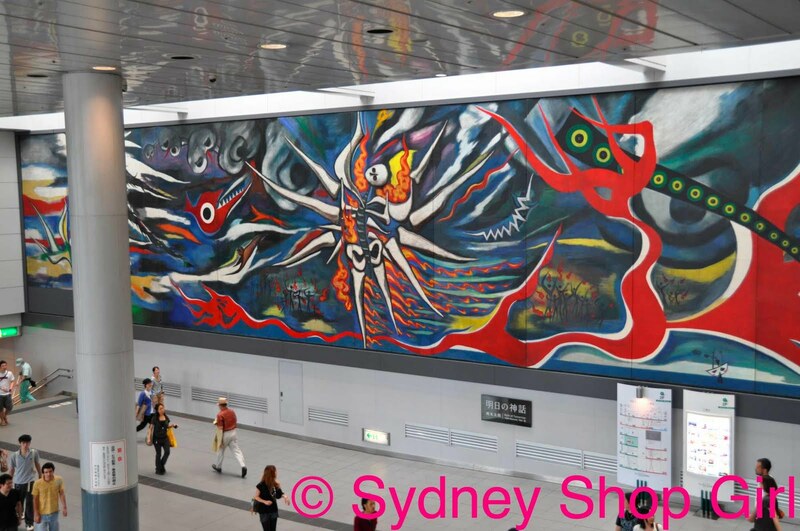 Mural on a wall inside the station. Have a lovely Saturday! I'll be back soon. Anonymous: Kim Sun Young in the Pavilion Shopping Centre, George St.
Looks like you had an absolutely amazing trip, SSG. The Hello Kitty sundae is so cute!!! I have missed your commentary - your writing certainly makes me laugh. PS: I need to try some Moroccanoil pronto.